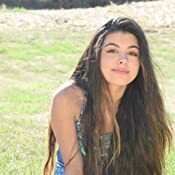 Sold by Etekcity and Fulfilled by Amazon. Gift-wrap available. Amazon's Choice for "photography reflector"
Sold by Etekcity and ships from Amazon Fulfillment. We strive to build on better living. We’re innovators, passionate about life and the things that make it better. 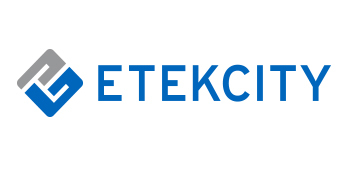 When you partner with Etekcity, you partner with the future. 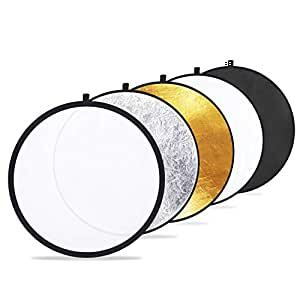 Etekcity 60cm Photography Light Reflector comes with five different reflective surfaces for all of your lighting needs. 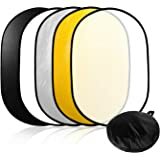 It is black, white, gold, silver and translucent. You can always get the effect you like. 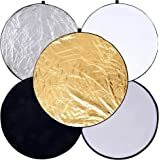 They are the most popular reflector in photograph and has necessary for studio or outdoor Photography. Serves as a helpful accessory for any type of photographer. 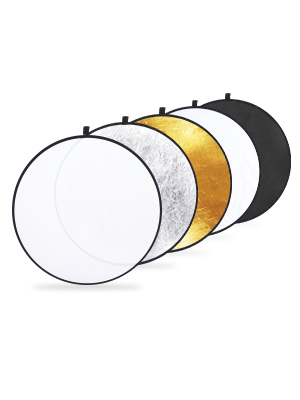 Five applications in one product; Great versatility to get the perfect lighting. Collapses to a small size; Comes with a convenient 10" carry pouch. Works well when you need extra light with out the flash. I posted an unedited photo using the gold disc and another with out any. You can see how it gives a nice warm glow. I’m pleased with my purchase. The reflectors work well and seem to be made of quality material. 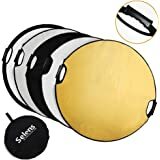 The collapsible ring makes for compact and convenient storage and transport. My one complaint is that the product photo in the listing gives one the impression that there are 5 identical collapsible rings. However, that is not the case. There is only ONE (the white one). 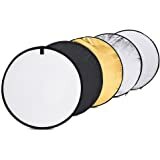 The other reflector rings are made by inserting the white collapsible ring into a reversible, 2-sided reflector slipcover. Though they do the trick adequately enough, they’re not taut like the white one, and it does take just a little bit more time to set it up. 5.0 out of 5 starsSmart buy and nice set - not 5 separate panels. I just received this so I haven't tried it in the field yet, but I thought I would quickly write down and expand on the title of the product. It is, indeed, a "5-in1". Specifically, and unlike the first photo in the product images, it is NOT 5 separate panels. 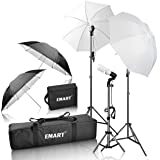 This kit consists of three (3) things: one zippered case, one diffuser panel and one 4-sided zippered cover for that diffuser panel. 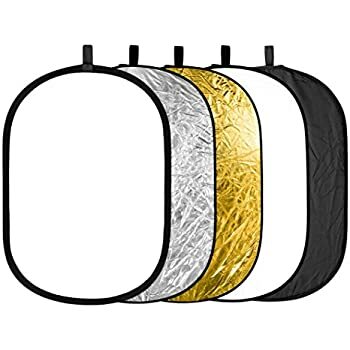 The 4-sided zippered cover has 4 different "finishes": black, white, silver and gold. 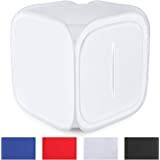 The diffuser panel is the only part with a wire rim for rigidity, and the 4-sided reflector cover must be zipped over the diffuser panel for use as a rigid reflector or shade. This being said- as much as I am slightly disappointed that this was not 5 individual panels, I do appreciate the ingenuity of making this a compact set with a smart storage feature. 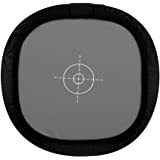 It is a 24"-diameter panel that folds down into a 9"-diameter zippered case. So far it appears to be of decent quality for the budget price. These are good. Some reviewers complained about the zipper breaking; I've used them a few times and have had no problem yet. The main thing I'd suggest that potential buyers consider is whether the size is right for you. 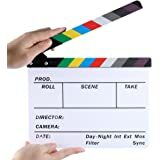 These work well if you have someone holding them and standing relatively close to your subject(s), and your subject(s) don't cover too much ground. For bigger groups or things, you'll need bigger reflectors. These are, however, very easy to carry and -- folded up -- fit in the outside pocket of my camera bag. Next time I'll buy bigger ones. But that doesn't mean that these don't work; you just have to figure out the right size for whatever it is you want to (consistently) photograph. I would still carry these (along with a bigger set) with me. 5.0 out of 5 starsPerfect size and works great!! I bought this just to use when taking pictures with my phone in hopes that they would look more professional ! I love it and it's he perfect size. I was using a piece of poster board with foil on it before and this thing is the real deal!! I only have used the silver so far but it's great! I'm so happy I went ahead and bought it ! 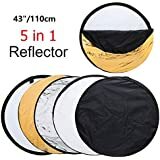 5.0 out of 5 starsThese are great reflectors! Very useful to have, especially if you shoot photos of people outside. I love that these are easy to pop open and lightweight so that they don't add a lot of weight to my equipment bag. They're also pretty small, about nine inches across. 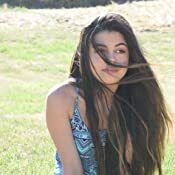 I'm not a professional photographer -- I'd probably say I'm a really good amateur -- so I can't say whether these are professional quality. 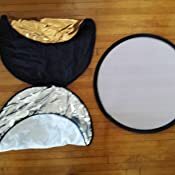 But for the price, they are a great addition to my kit and really make it easy to add some reflective light when I'm shooting people shots. 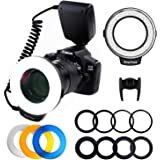 You could also use this for other things -- maybe product photography -- but I use them when I'm talking shots of people because I really don't like to use a flash if I can help it. These just add a more natural looking light and they also allow me to control exactly where it goes. Plus, the different color reflectors let me control the color and intensity of the light. I use the white ones the most, but the gold one does give off a really pretty color. 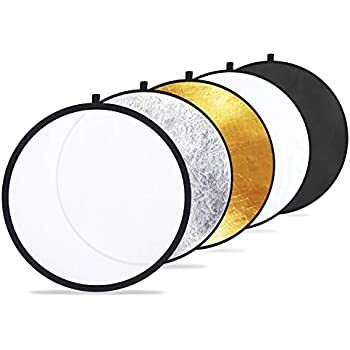 Definitely recommend these if you are needing some affordable reflectors or if you just want to experiment with them. For $12, you can't go wrong. 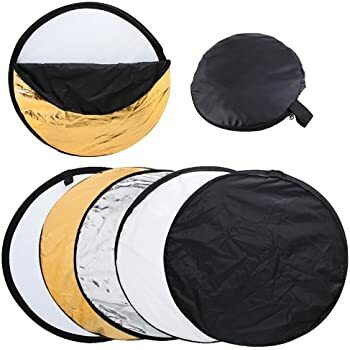 This is a great set of a nice size reflectors. The set will fold up to fit into a zippered black nylon pouch that is 12 in. wide and about 2 1/2 in deep; it will 'give' some to pack it kinda bent if you have a smaller backpack. 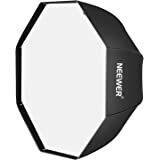 I have a larger set of reflectors, this size is better for macro work, or if you don't have a lot of room in your photo bag. The set is very lightweight, but is durable. 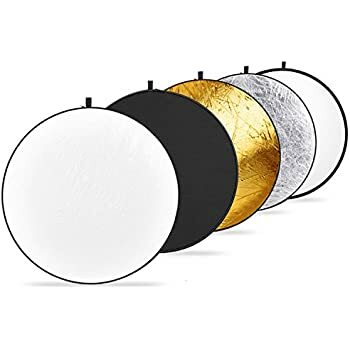 The one disc with the wire in it may double as a diffuser for direct sunlight, and/or slip over one of the other colors to use for reflectors. You will have to practice a bit to learn how to twist it to get it doubled to fit into the bag. When shooting in the field pack lite - take along a couple of clothespins to attach it to some twigs or against your bag to keep it upright. 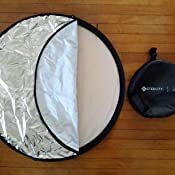 I’ve only had this reflector for a couple weeks, so I can’t say how long it will last, but I’d imagine it will hold up for a while if it’s not abused. 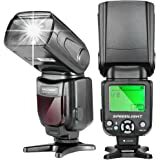 I needed something quick and portable for a portrait shoot with a band at a venue and grabbed this because of its size and how inexpensive it is. Love it’s nylon carry pouch and I find that it folds up pretty easy, and doesn’t feel like it’s going to snap anytime soon. Even if for some reason it did break, I would probably buy another. 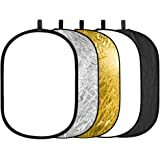 Does it compare to expensive “pro” reflectors, no probably not, but they aren’t this price either. But it bounces light just fine.